Bloomberg today introduces the next evolution of the Bloomberg Channel on the Roku ® platform, delivering the latest market-moving business and financial news, video and television content. The redesigned Roku channel provides users with a smarter viewing experience, one that offers personalized video content based on each viewer’s interests, access to Bloomberg’s top shows on-demand, and a livestream of Bloomberg Television. 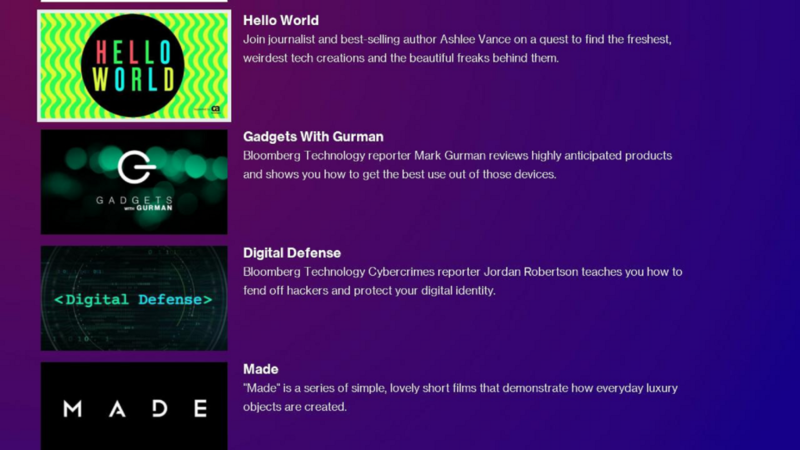 Featured Content Collections: Videos organized by categories including Top News, Top Interviews, Bloomberg Profiles, Bloomberg Quicktakes and hits such as Gadgets with Gurman, Hello World and more, all of which are curated by Bloomberg editors. 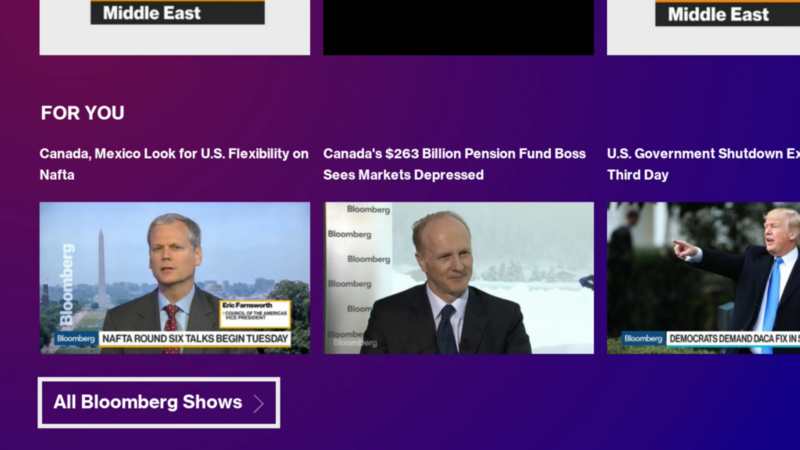 Personalized Content: An updated “For You” section with content recommendations based on prior Roku watch history and activity across Bloomberg platforms, providing a smarter, more relevant way to watch news. Users can sign into their Bloomberg account on the channel to further enhance their personalization offerings. Live TV: Watch global breaking news as it happens with Bloomberg TV available live, 24/7. A data-driven experience that delivers static and contextual information based on what’s playing on live television. Show list: Access Bloomberg’s top shows on-demand, including The David Rubenstein Show, Hello World, Bloomberg Technology, Bloomberg Markets, What You’d Miss, Bloomberg Surveillance, Bloomberg Daybreak Americas, Bloomberg Technology and more. 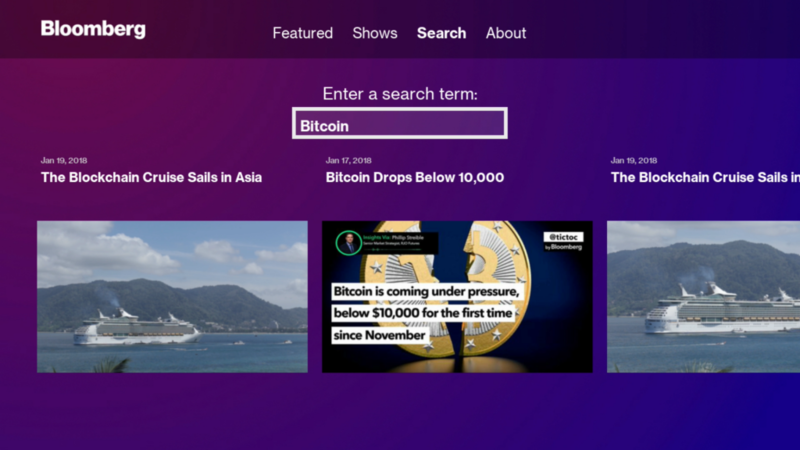 Search: An easy way to sift through Bloomberg’s video archives of shows, interviews and clips on a particular subject, person, company or any key words. Simplified Design and UX: A simple menu experience that allows users to navigate throughout the channel seamlessly. 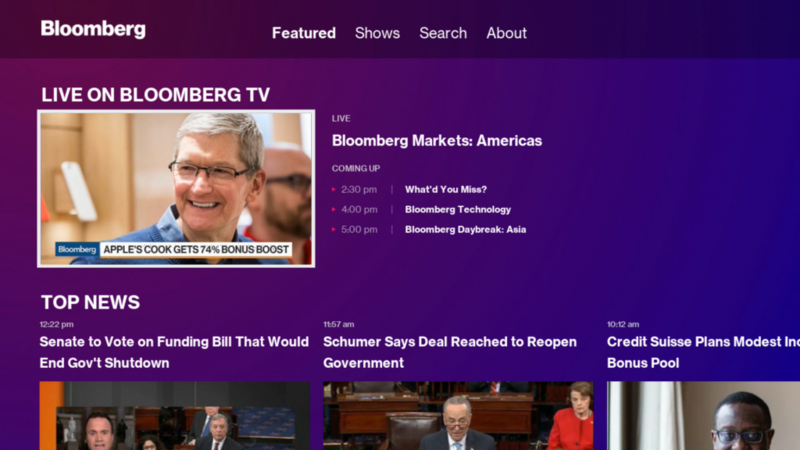 Built by a cross-functional team across product, design, engineering, editorial, ad sales and innovation, the Bloomberg channel on the Roku platform offers the best of OTT viewing experience matched with an intuitive user experience. With 2,700 business journalists and analysts around the world, Bloomberg Media is the leading provider of global business news reaching a premium audience of influential decision makers across every platform – digital, TV, radio, print and live events. Bloomberg is available across multiple OTT platforms including Roku, Apple TV app for iOS, Apple TV, Google TV, Amazon Fire TV, Samsung Smart TVs.